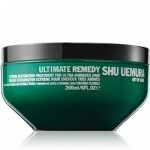 Every once in a while, there is a really exciting new breakthrough in the hair tool category. (For me, the last one was the clipless curling iron.) 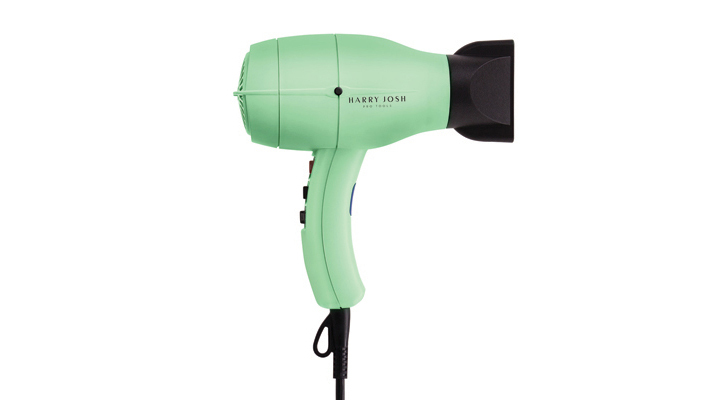 Now, hands down, celebrity hair stylist Harry Josh has won the prize for innovating a seriously impressive blow dryer that takes drying your own hair to the next level. Blowing air at 80mph, it is the most powerful dryer in its class. It smooths hair like no other with it’s (optional) ionic power and, at the same time, has been designed to be incredibly efficient, reducing energy use by 70%. It’s literally and figuratively green. My long, coarse hair typically takes me thirty minutes to blow dry. That’s not counting the ten to fifteen additional minutes I spend smoothing and touching up. Drying my hair with the Harry Josh blower took half the time. And my hair looked like smooth, “day two” hair. The dryer is not only a miracle worker on hair like mine, it does a wonderful job adding body to finer hair when the ionic option is turned off. -It has a smaller profile than most dryers. -It has a super-long 9-foot cord that I love. -Two nozzle attachments are included: one for body, one for smoothing. The dryer launched last fall for $300, but it’s currently on sale for $250—with free shipping and a complimentary hair serum with every order, through Josh’ exclusive retailer, HairEnvy.com.